London’s iconic Gherkin landmark could be getting a striking and futuristic new neighbor — if plans for Foster + Partners’ The Tulip are approved. Proposed for a site next to The Gherkin — the Stirling Prize-winning 30 St Mary Axe building also designed by Foster + Partners — the conceptual observation tower would serve as a new cultural attraction and educational facility with unparalleled 360-degree views of London. The nature-inspired building would target a BREEAM ‘Excellent’ rating and would be powered by integrated photovoltaic cells as well as zero-combustion technology. 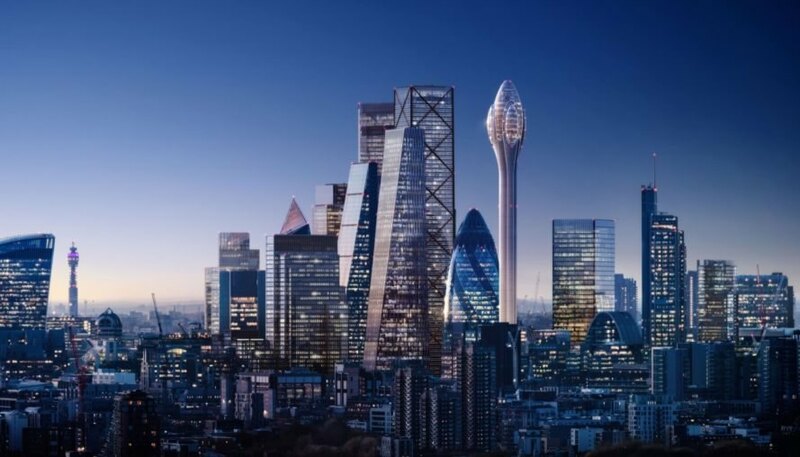 Created in partnership with The Gherkin owner J. Safra Group, The Tulip tower would soar to a height of 1,000 feet and be built with a high-strength concrete shaft with steel-framed observation deck levels. Key to the design is the sky-high classroom that would offer 20,000 free places per year for London’s state school children. 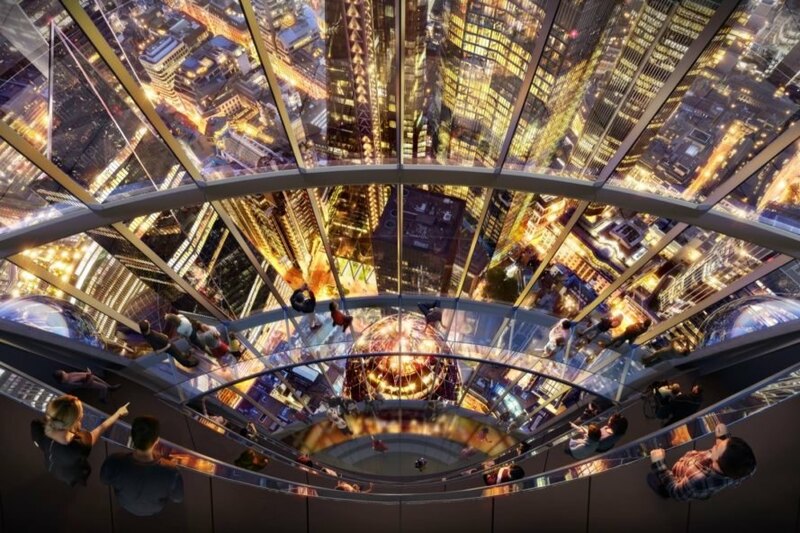 Residents and tourists will also be able to enjoy the viewing galleries connected to sky bridges, internal glass slides and even gondola pod rides built along the building’s facade. The visitor experience will be heightened with interactive materials and information about the history of London, a sky bar and restaurants. On the ground level, The Tulip would include a new, 1,400-square-foot pocket park along with a two-story visitor pavilion with a publicly accessible green roof and two green walls. The addition of landscaping would increase the site’s green surface area by 8.5 times. “Continuing the pioneering design of 30 St Mary Axe, the Tulip is in the spirit of London as a progressive, forward- thinking city,” said Norman Foster, founder and executive chairman of Foster + Partners. “It offers significant benefits to Londoners and visitors as a cultural and social landmark with unmatched educational resources for future generations.” If The Tulip proposal is approved, construction could begin in 2020 with completion projected for 2025. 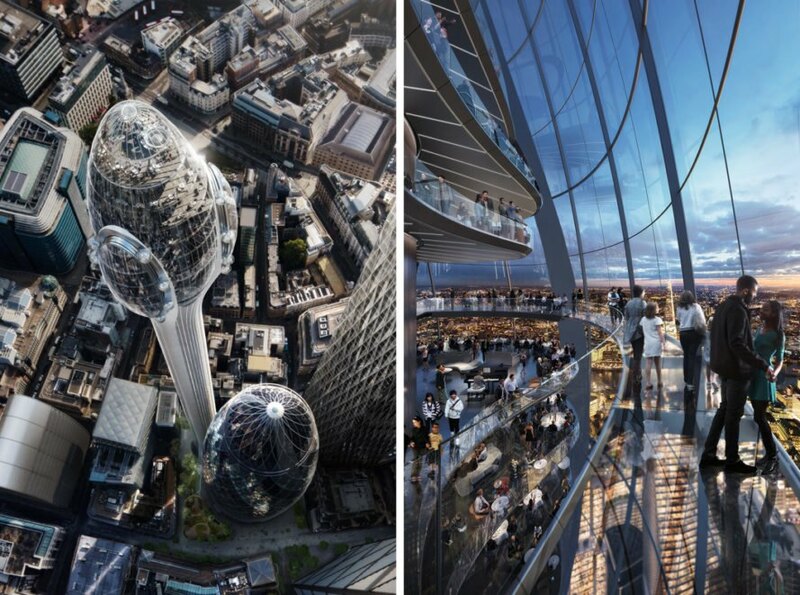 Foster + Partners has proposed a sleek observational tower, called The Tulip, for London. The project would stand out along the city's skyline. 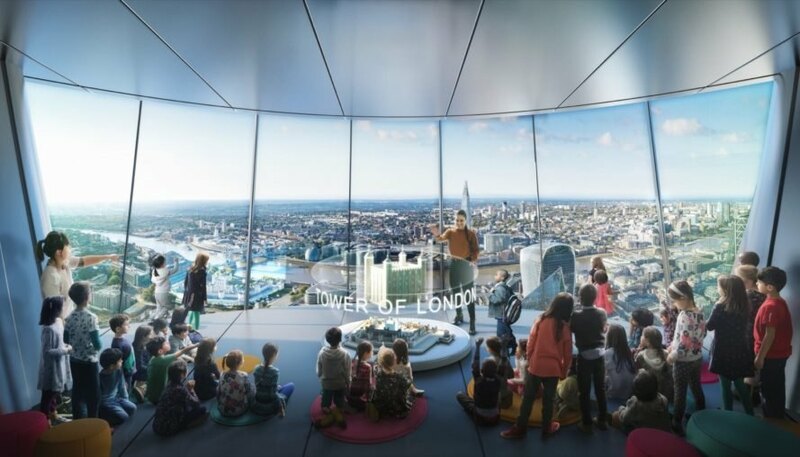 The tower would include a sky-high classroom for London's school children as well as visitors of all ages. The Tulip would rise 1,000 feet in the air. Views of London will be unmatched from the top of the tower. Photovoltaic cells would power the property. The team also hopes the tower would reach a BREEAM 'Excellent' rating. If approved, construction of the tower would begin in 2020 with completion slated for 2025.